In this brilliantly imagined book, author Danell Jones mines the diaries, essays, correspondence, and fiction of a literary legend to create an unforgettable master class in the art of writing. 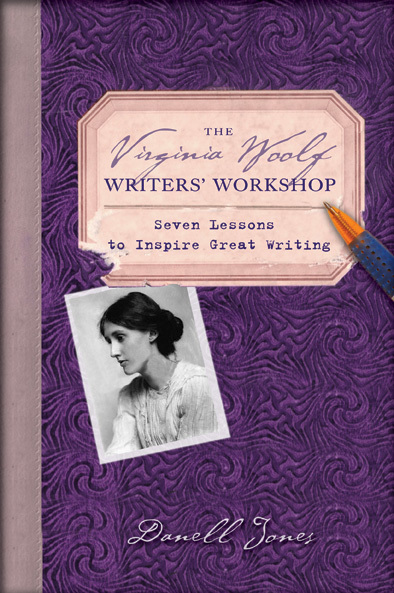 Using Virginia Woolf’s own words, this inspiring, instructive, and entertaining guide will delight fans, students, and teachers alike—and at last give Woolf a classroom of her own. Also included are “writing sparks”—exercises for writers of all levels—inspired by Woolf’s best-known works, plus the original sources of all of Woolf’s quotes for deeper exploration. Let Woolf’s utterly unique vision guide you to your own distinct voice at the same time that you deepen your appreciation and knowledge of her as a revolutionary writer and thinker. This practical reference motivates and inspires readers to embrace their personal vision through the spirit of one of the foremost literary talents of the twentieth century. These discussion questions can inspire you to think more deeply about Woolf’s ideas. Perfect to spark discussion in your book group, writing group, or classroom. Jones has taken Virginia Woolf’s writings and broken them into seven classroom scenes. . . .
Each is worth any writer’s attention. and now a delightful book. funny, ambitious, wise, and encouraging. Woolf’s work has long been an inspiration to other writers. These pages share a few gems from a lifetime of hard-won wisdom. Beginning writers can use the exercises to practice handling elements of the craft: dialogue, description, and character development. They can also begin to grow more aware of their stylistic choices and to become more sensitive to the muscle and weight of language. More experienced writers can discover paths out of old habits, jolts of inspiration, the opportunity to try out an unfamiliar genre, or just some fresh prompts for warming up. In these pages, they can find ways to give new depth or new direction to a work-in-progress. Writing groups can use it as a source for discussion or prompts for writing sessions. Though often long out of school, veteran writers sometimes find assigned exercises a valuable way to pry themselves from their comfort zones and into new avenues of discovery and insight. This book is also for teachers. Woolf’s ideas here can be used to inspire discussions about the writing craft as well as the writing life. Useful on its own as a discussion starter or in concert with other writers’ statements on craft, it can encourage debate and reflection. The exercises will help nurture students’ creativity and help them as they explore their own creative vision. The exercises include several paired or multi-step exercises that invite students to tell the same story in different ways in order to make them more aware of their writing choices and the effects of those choices. Because it covers three genres, it offers a lot of variety. With exercises in fiction, nonfiction, and poetry, it is a useful resource for all kinds of classes. Students can try their hand at each genre or focus on one. There are also collaborative exercises ideal for a classroom setting. 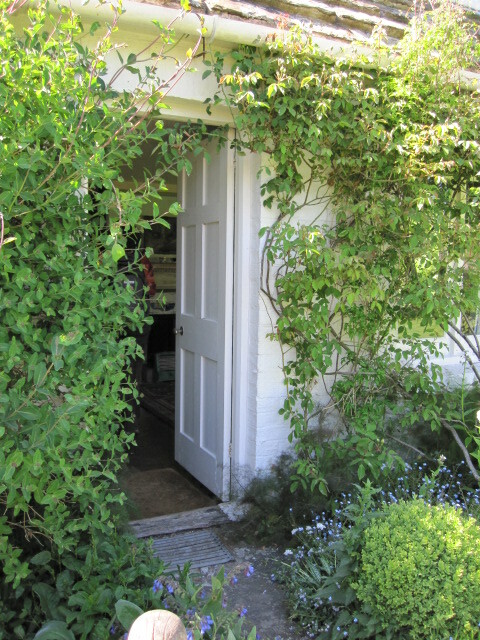 Finally, The Virginia Woolf Writers’ Workshop is also for those who are simply curious about Virginia Woolf even if they don’t mean to write themselves. It draws from Woolf’s enormous body of work and presents her ideas in a lively form. Although not a comprehensive catalog, it is a good introduction to her thoughts on writing. The book is organized into seven imaginary classroom sessions, each one focusing on a central theme important to Woolf’s writing life: practicing working, creating, walking, reading, publishing, doubting. Woven into these chapters are also her ideas about specific genres: fiction, poetry, and nonfiction. Presented as a conversation, they are meant to portray Woolf’s ideas as well as provide some insight into the life that shaped these ideas. At the end of each chapter, you will find a short selection of “writing sparks”: short writing activities that give you the chance to do a little hands-on engagement with the ideas introduced in the chapter. At the back, you’ll find fiction, poetry, and nonfiction exercises, suggestions for further reading, and a catalogue of the Woolf quotations used in this book along with their sources. This book includes exercises along with the classroom sessions for one simple reason: they allow readers to work on their skills—what Woolf called practicing her scales—just as Woolf did in the pages of her diaries and her notebooks. These provide sparks for exploration. They allow you to try new things or work solve a particular problem or, as if often the case, both simultaneously. They should not be considered recipes for a story, poem, or essay—just mix up the ingredients and, voila, out pops the finished product—but rather the opportunity to work through a process. The process will make you more sensitive to language, open to new ways of thinking about and doing things with words. The exercises are not to create new pieces of writing as much as they are about creating you. Working through the process of experimenting and learning through these exercises turns an ordinary person into something special: a writer. You needn’t be well-versed in Virginia Woolf’s writings to do the exercises. Because her own words infuse the classroom sessions, one will gain a sense of her style simply by reading the first part of the book. Of course, my hope is that as you read the narrative and work through the exercises, you’ll want to read more Woolf. Many of the exercises refer you to particular works as models. You’ll find Woolf’s stunning language an inspiration for your own experiments and creations. You can find readable excerpts from her major works as well as her diaries and letters in the Virginia Woolf Reader. You’ll find a wide range of activities here. Some, like using a journal and keeping running lists and reading notes, encourage writerly habits. They are meant to help aspiring writers try out the practices that Woolf and many other experienced writers have found valuable. Some are very gentle warm-ups and serve as preparation for writing: taking a walk, for example, or buying a special writing pen. Some are warm-ups and provide emotional preparation for taking yourself seriously as a writer. Others provide opportunities for stylistic exploration—how does writing a story using long, serpentine sentences differ from one told in short, terse phrases—or practice with basic skills like description and character development. Some provide the opportunity to think about structure and conflict, others to work on voice and tone. How difficult or easy an exercise will be depends mostly on the writer’s sensibility. What will be easy for some will be a stretch for others. What will seem basic for one will be adventurous for another. Some are specifically group activities. All of them can be used again and again, producing new results each time. Never forget that just as there is not prescribed order for doing these exercises, nor is there a right way of doing them. They are to help you discover your own voice, your own sensibility. They are also to help pose new challenges. With every new book, Woolf stretched herself as far as she could, she took risks, dared experiments she wasn’t sure she could accomplish. This little book allows you the opportunity to stretch yourself, too, to discover the truly unbounded quality of your own imagination. They are organized by genre, then loosely by skill or theme. There is no need to do them in the order in which they appear. Individuals using the book should follow their instincts, selecting exercises that appeal to them or that provide practice in a skill they would like to develop. Teachers, of course, can select exercises that work with a particular day’s lesson plan. They require no set amount of time, although writing groups and teachers will find that twenty or thirty minutes will allow enough time for participants to make some worthwhile discoveries. This book can be useful for both your basic and advanced courses. Because it covers three genres, it gives your beginning writing students the chance to experiment widely. In my experience, I’ve often found students entering a foundation course thinking they only have an interest in fiction writing only to discover a new love for poetry or a gift for the essay. I’ve also found that asking students to share the results of the exercises with each other—in small groups works well—lets them see how each writer can solve the same challenge in radically different ways. They very often amaze themselves and each other. 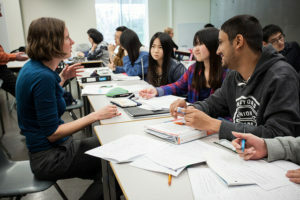 Collaborative exercises not only provide an element of surprise, but also helps create a stronger sense of community where students feel safe to experiment and to share their experiments. Most of all, I hope the ideas and the activities in this book help them to become more sensitive to language, more familiar with its flexibility and strengths, to become better readers, listeners, and writers. This book is not intended to turn out a passel of Virginia Woolf imitators. Even though the exercises are based on Woolf’s work, there are so many ways to do them that you would have to be deliberately imitating Woolf for your writing to become like hers. The ideas and exercises here, invite you to find your own way, your own creative vision. That, Woolf said, was the most important goal for any writer. 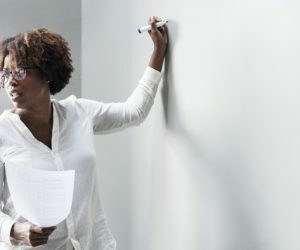 Although the advice she provides here may guide you along your way, there will always be some things the most sensitive, intelligent teacher will not be able to help you with, may not even be able to understand. For better or worse, an artist must continually negotiate the space between trusting and challenging, between following and idea and figuring out how to use feedback. But in the end, it is your vision, you must find the things that nurture it. I hope this book will be one of the things that does.